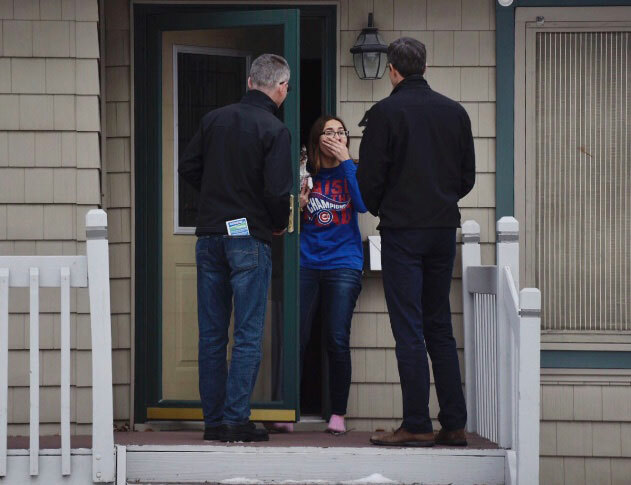 Beto O’Rourke campaigns for Giddens. Several of the Democrats running for president have been visiting the Cedar Falls area to help turn out voters for tomorrow’s special election in a state senate district. 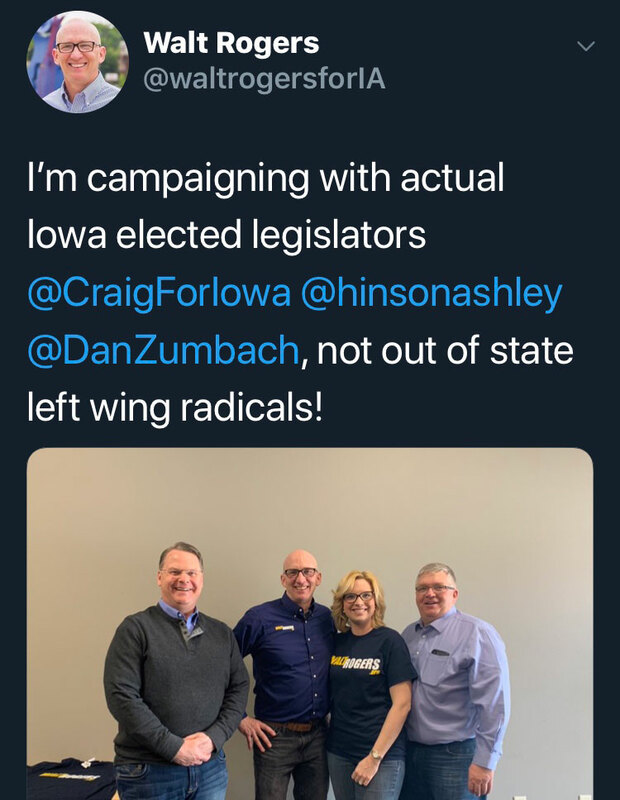 Democrat Jeff Danielson resigned last month to take a private sector job. Republican Walt Rogers, a former state representative from Cedar Falls, is facing Democrat Eric Giddens, a member of the Cedar Falls school board. State Senator Pam Jochum, a Democrat from Dubuque, was in the district yesterday, going door-to-door to reach voters. “I think what the candidates who have been coming in to help have really created a little more enthusiasm,” Jochum said. 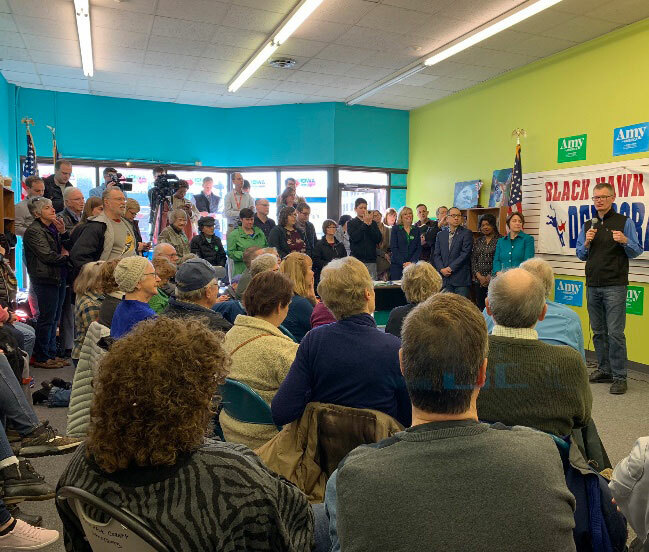 Minnesota Senator Amy Klobuchar joined Giddens for a canvas kickoff. And that’s important in special elections, when turn-out is traditionally lower than in Primaries or the General Election. Jochum said the candidates who made the trip to Cedar Falls demonstrated their commitment to the party. 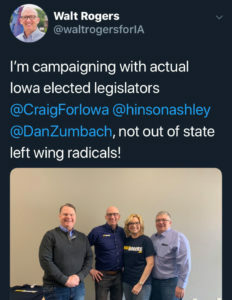 Rogers, the Republican candidate, has tweeted that he is campaigning with “actual Iowa elected legislators….not out of state left wing radicals.” Rogers has also tweeted video endorsements from Senators Joni Ernst and Chuck Grassley. A Libertarian is also running in the district. Fred Perryman is a sales manager from Cedar Falls.